The JBN team will be covering IN THE TUB red carpet launch - December 2, 2017. Content will be posted soon after. January 31, 2018--- The organizers behind the upcoming inaugural Mammoth Film Festival™ are unleashing Round 2 of their Official Selections lineup for the festival taking place February 8-11. The organizers are thrilled to announce an unprecedented 120 film projects in competition (15 features, 6 of which are world premieres and 105 shorts) at this first-year event. The complete lineup, schedule and tickets are available for purchase now at: https://www.mammothfilmfestival.org/. The festival will award over $20,000 in filmmaker prizes and funds. Written and Directed by Jon Matthews. A film starring Emmy nominated actor Richard Cabral (American Crime), Adam Rennie, Chi Chi Navarro, Corina Calderon and Jon Matthews. After deciding to retire, an East L.A. hit man decides to take one last job to help support his ailing grandmother's end of life care. But everything falls apart when he develops empathy for the targets of his hit, and he's forced to make the toughest decision of his life. Directed by Paddy Quinn, written by Quinn and Kurt Finney. The film stars Geoff Stults (Wedding Crashers), Jay Harrington (S.W.A.T. ), Kenny Wormald (Footloose) and Sierra Love (Guardians of the Galaxy Vol. 2 ). Long estranged brothers reconnect along a road-trip home to say goodbye to their hardened father on his deathbed. On Saturday February 10, the festival will feature a special FREE screening of John Wayne’s North to Alaska which was filmed in Mammoth Lakes. Several members of the Wayne family will be in attendance to introduce the film. The iconic 1960 film was Directed by Henry Hathaway. During the Alaska gold rush, prospector George sends partner Sam to Seattle to bring his fiancée but when it turns out that she married another man, Sam returns with a pretty substitute, the hostess of the Henhouse dance hall. Directed by Jarod Einsohn, written by Cory Miller. Starring Ryan Rottman, Alex Sgambati, and Robbie Jones. Directed by Jim Sheridan, written by Sheridan and Oskar Slingerland. Starring Salma Hayek, Gabriel Castilho, Gary Douglas, and Tony Doyle. Directed by Drew Lewis (6 Bullets To Hell) A stop-motion animated short film about a pop-culture fanatic calling himself ‘The Fanman’ who starts a Youtube channel out of his mother’s basement. Wearing the iconic mask of a certain caped-crusader and vowing an oath of anonymity, he chases internet fame by trying wholeheartedly to make a viral video. MammothFF is also unveiling the 2018 judges that include: Producer Suzanne Weinert (Hellion), Actor Peter Facinelli (Twilight), Actor/Producer Chris Zylka (The Leftovers), Producer Steven Garcia (Shark Tank), Writer/Director/Producer Eric Amadio (Snowfall), Youtube star Darious Britt, and Film Critic Oliver Harper. The festival’s Charity Celebrity Bowling Tournament benefiting the Mammoth Media Institute will feature: Krayzie Bone, Nina Dobrev, Eiza Gonzalez, Josh Hutcherson, Ashley Greene, Tom Welling, Josh Henderson, Sterling Brim, Luke “Dingo” Trembath, Lil Jon, Arielle Vandenberg, Matt Cutshall, Scott Haze and Ryan Rottman among many more surprise actors and athletes. The Inaugural Mammoth Film Festival™ will also feature musical performances by and Eric Tessmer and DJ Mike Navarro and surprise performances. The Mammoth Film Festival™ is proud to announce MammothCON. This convention will support booths and activations for various products and companies looking to push their brand amid one of the mountains busiest weekend of the year. 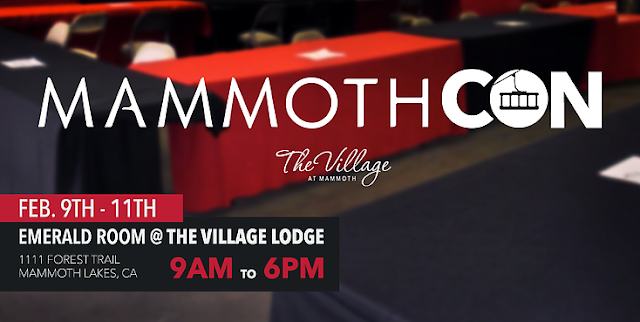 MammothCON will showcase tech, lifestyle brands, and multimedia and art all taking place at The Village Lodge Convention Hall. Notable previously announced Round 1 Official Selections include: Indie Thriller JOSIE starring Sophie Turner from Game of Thrones, Dylan McDermott and Jack Kilmer. Jennifer Morrison’s SUN DOGS (recently acquired by NETFLIX), Tim Newfang’s SONS OF ST. CLAIR, a ground-breaking documentary highlighting the legendary members of Hip Hop group Bone Thugs-N-Harmony’s Krayzie Bone & Bizzy Bone (World Premiere), Josh Hutcherson’s APE starring Hutcherson, Savannah Jayde, and Maddie Hasson, Sheldon Shwartz’s THE CIRCLE starring Ryan Phillippe and Noah Schnapp, Magaajyia Silberfeld’s VAGABONDS starring Danny Glover, Robert Ri’chard and Silberfeld, Tyler Shield’s COPS: GOTHAM Starring Dane Cook, and THE ACCOMPLICE starring Evan Peters. Mammoth Film Festival™ is the passion project of Filmmaker Tanner Beard. Festival founders include Beard, Tomik Mansoori, Theo Dumont and managers include Alexandra Chando, Daniel Sol and Nicole Castro. 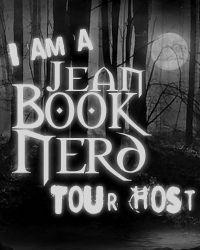 Categories include U.S. Narrative feature films, U.S. Documentary feature films, International Narrative Feature Films, Action Sports, Virtual Reality, and Short Films.